In the wake of the tragic events in Paris last week, Jacob Kishere appeals for an honest and plain-speaking language when describing the dangers posed by religious fundamentalists. 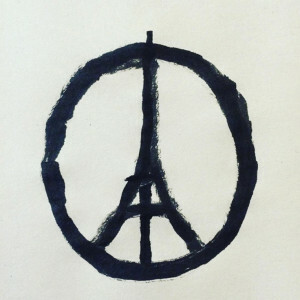 Jean Jullien’s Eiffel tower peace symbol, which went viral on the Internet as a show of solidarity to the victims of the atrocity in Paris. Before the bloodshed had even ended in Paris on Friday night fingers were already pointed; it is the perpetual blame game and all too familiar to the one seen 10 months prior in the wake of Charlie Hebdo. Since the spirit of unity was channelled worldwide in the hashtag #jesuischarlie, there has been an inadequacy in our political discourse on both sides which continually fails to address the threats we face. 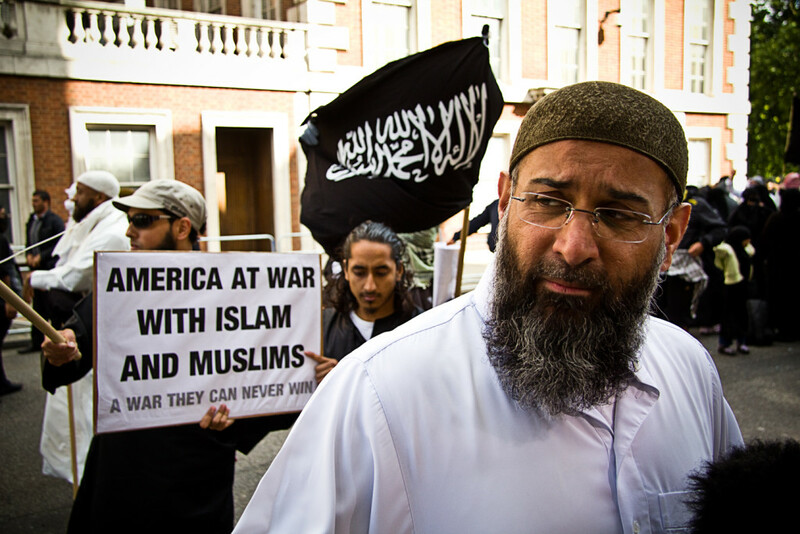 Given the context of rising anti-Muslim bigotry, many on the left – who anticipate further backlashes – have called for calm, repeating the mantra that the jihadist epidemic has ‘nothing to do with Islam’. Meanwhile, increasingly enraged by the left’s perceived obfuscation on matters relating to Islam, figures on the right have adopted the position that Muslim populations are complicit in these atrocities, and proclaims these terror attacks the bloody result of failed multiculturalism. The consequences of both mutually inflammatory positions have been an increasingly toxic atmosphere in civil society toward Muslims and abject failure to stem the rising tide of radicalisation. But if we are to do any justice to the victims of these countless ideologically driven attacks, the very least we can do is recognise that there is an ideology at play. That ideology is Islamism. Both left and right must recognise this in order to move forward. Well-intentioned leftists must end their blind defence of all things Islam and recognise that the ideology of Islamism has something to do with Islam. While it may be instinctive to the traditions of academic left to attribute jihadist action to western foreign policy and prevailing conditions of social desperation, neither the data nor our experiences support such reasoning. As early as the 9/11 attacks we saw the propensity for wealthy, educated individuals to commit atrocities in the name of ideology, with many of the conspirators holding graduate level degrees. Bin Laden himself was the heir to one of the wealthiest families in Saudi Arabia. Far more revealing in his case is that he was tutored by Muhammad Qutb, brother of Sayed Qutb the ‘grandfather of Islamism’. For decades, funded by Saudi oil money and facilitated by Western governments favouring the most reactionary voices within communities as ‘leaders’, Islamist ideology has been directly imported into European communities. At present, Western Europe is reaping the seeds it has allowed to be sown by Islamists for 20 years in its communities through universities and other institutions. If anyone doubted the degree of the crises they need only consider the militants fighting in Syria from France numbering 1,200, from Belgium numbering 440, from Germany numbering between 500–600, and from the UK numbering around 600 (See International centre for the study of radicalisation and political violence, KCL) with many considering these estimates to be conservative. At the same time, pundits on the political right must recognise that it is not Islam – the faith of billions – which drives jihadism in the west so much Islamism: the fundamentalist desire to impose any form of Islam over society. It is often stated, and yet not enough, that the first victims of this ideology in any act of jihad are Muslims themselves. This is self-evident throughout the Arab World, and was again demonstrated brutally in the bloody Islamic State attacks in Lebanon which claimed the lives of around 43, just hours before violence erupted in Paris. Reactionaries must recognise that what they are witnessing is not a battle between a vaguely defined ‘West’ and the religion of Islam but a battle within Islam between that religion’s progressive reformers and its militant hardliners. It is only through empowering and working with the progressive reformist voices within communities that they will effectively counter Islamism. In the coming weeks, the straw man of refugees as a causal factor will inevitably be thrown up; but this too is a fiction. Those arriving on the shores of Europe are fleeing the very threat we now face at home. Growing up in a post-9/11 Britain, I heard many times the repugnant sentiments that ‘not every Muslim is a terrorist, but every terrorist is a Muslim’. But as much as the left reviles such casual bigotry, it is very much the unintended consequence of the left’s language of obfuscation. Whole generation of Britons lack the vocabulary – the conceptual tools required — to properly articulate the nature of this threat they so fear. And if we as a society are to come together and address this common threat, we would be far better served in remembering this: not every Islamist is a jihadist, but every jihadist is an Islamist.